Genuine OEM Magenta Canon 2449B003AA Toner Cartridge with 9,500 page yield. 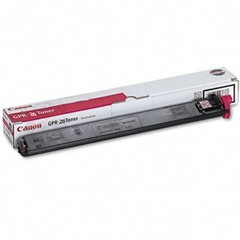 The color laser toner cartridge fits the following model(s): Canon imageRUNNER C5058, C5068, C5800, C5870, C6800, C6870. Canon part number(s): 2449B003AA, GPR-26M.